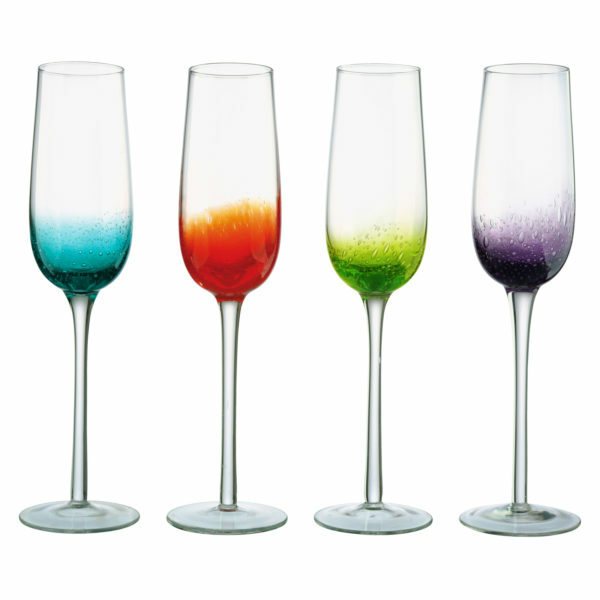 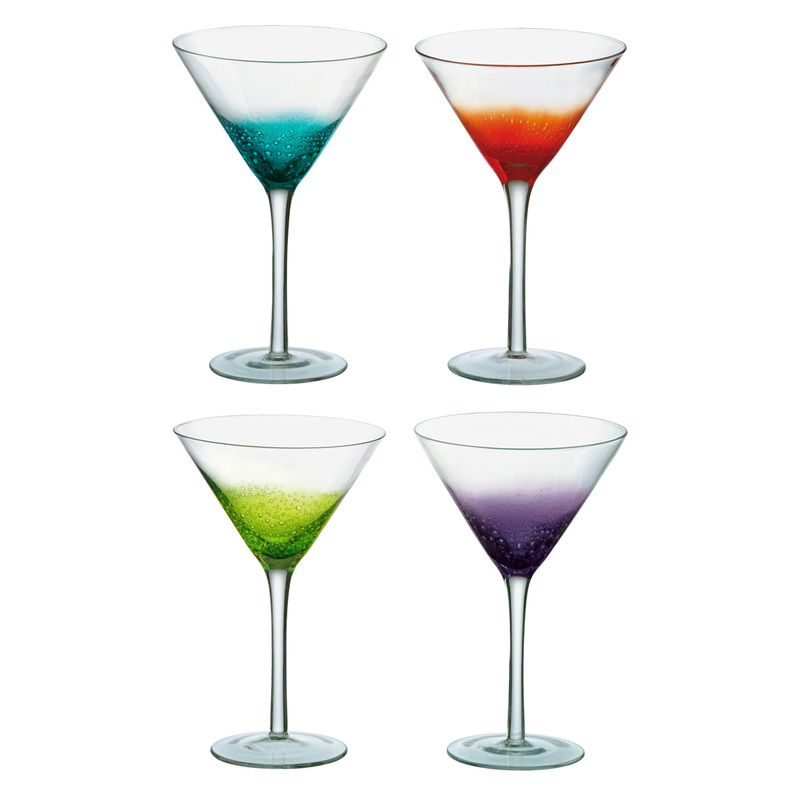 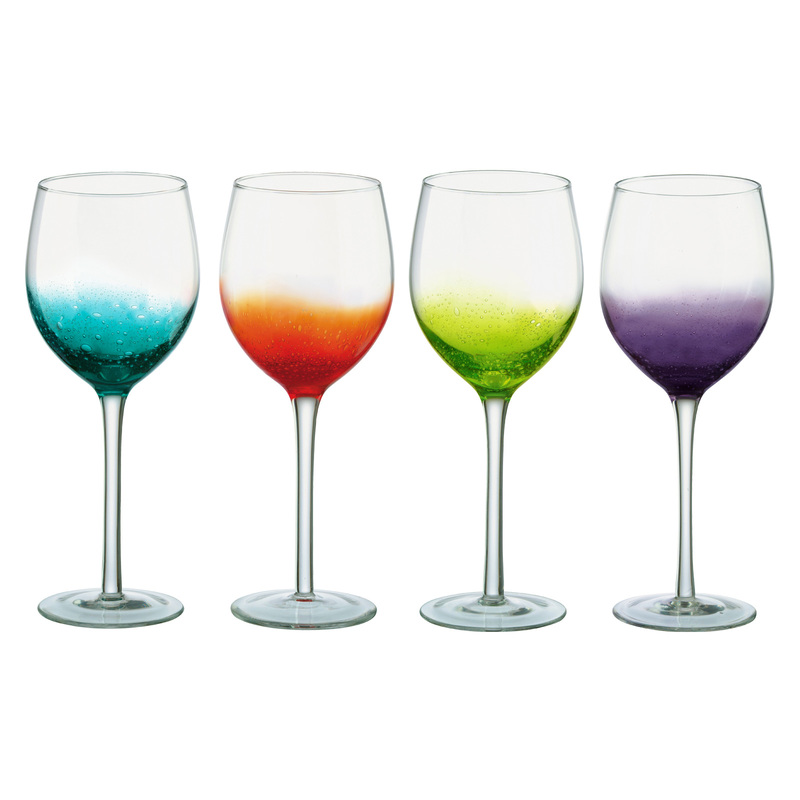 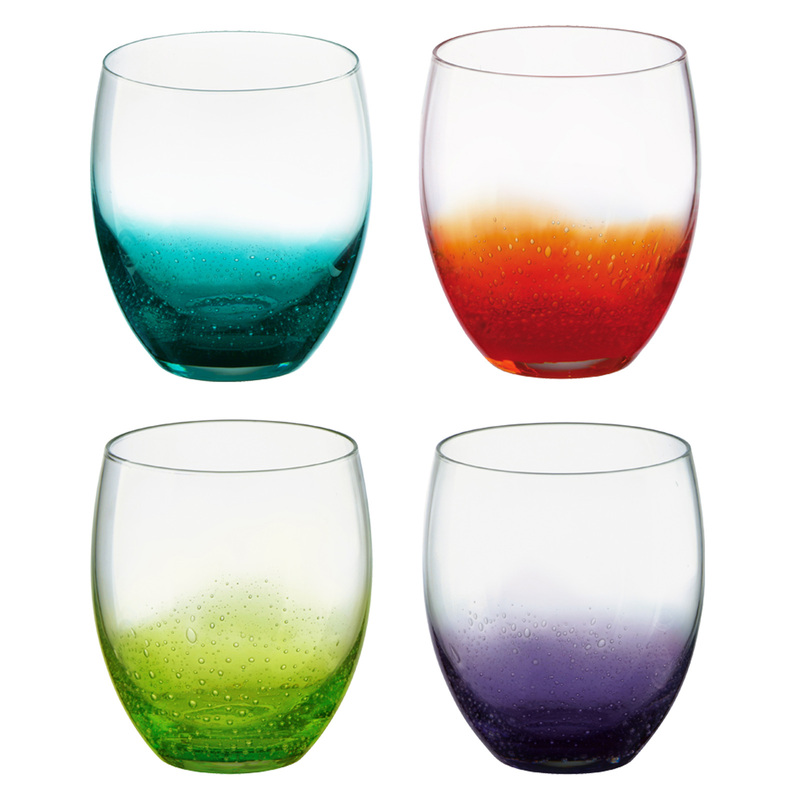 Stunning Set of 4 Fizz Flutes where each glass has a different colour effect which is full of bubbles!! 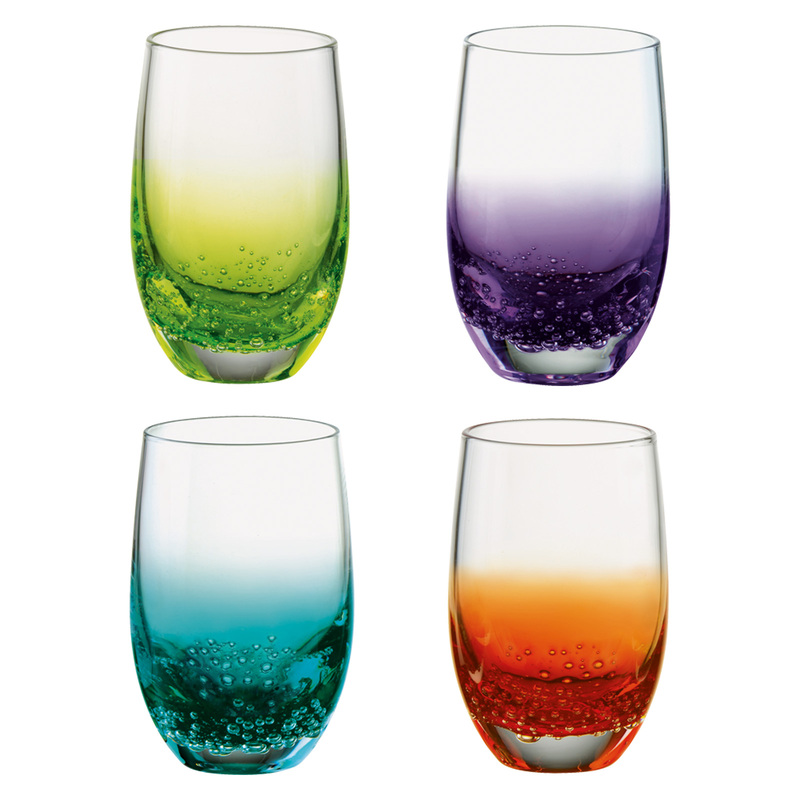 Very appropriate for fizzy drinks like Champagne! 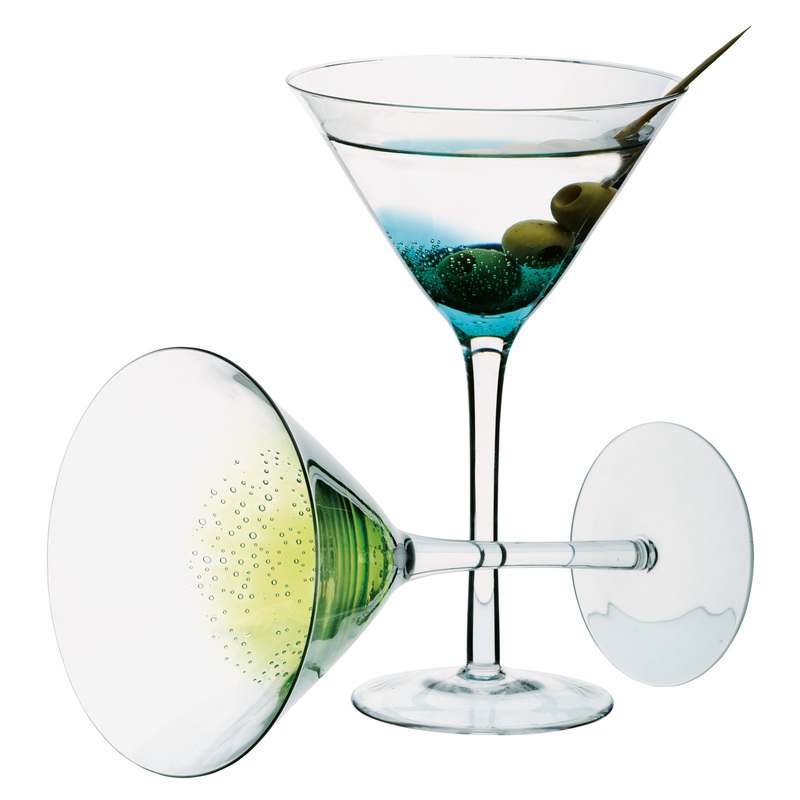 Comes in a great gift box too so a fantastic gift! 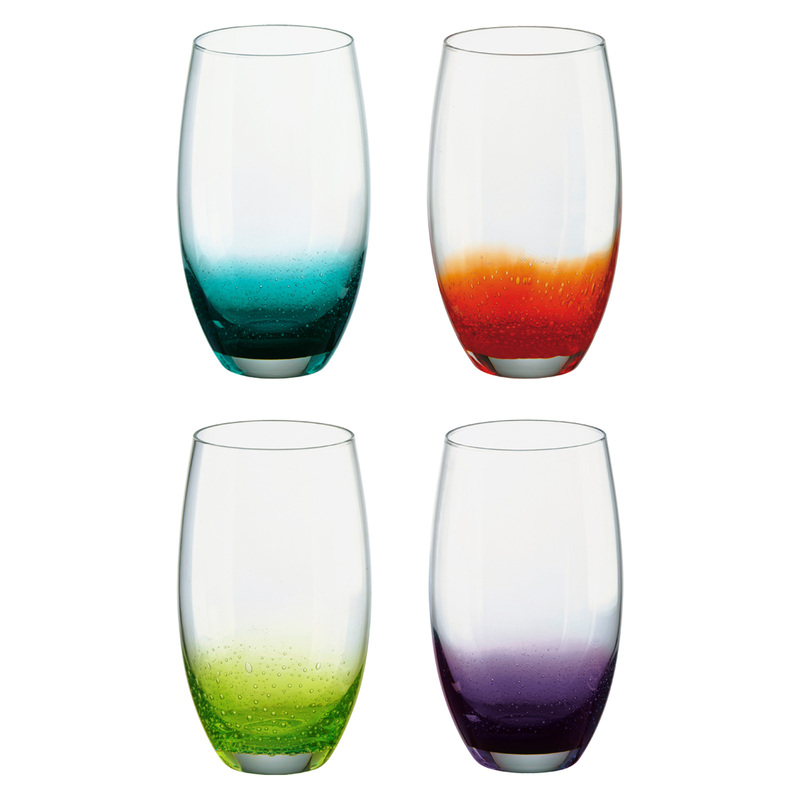 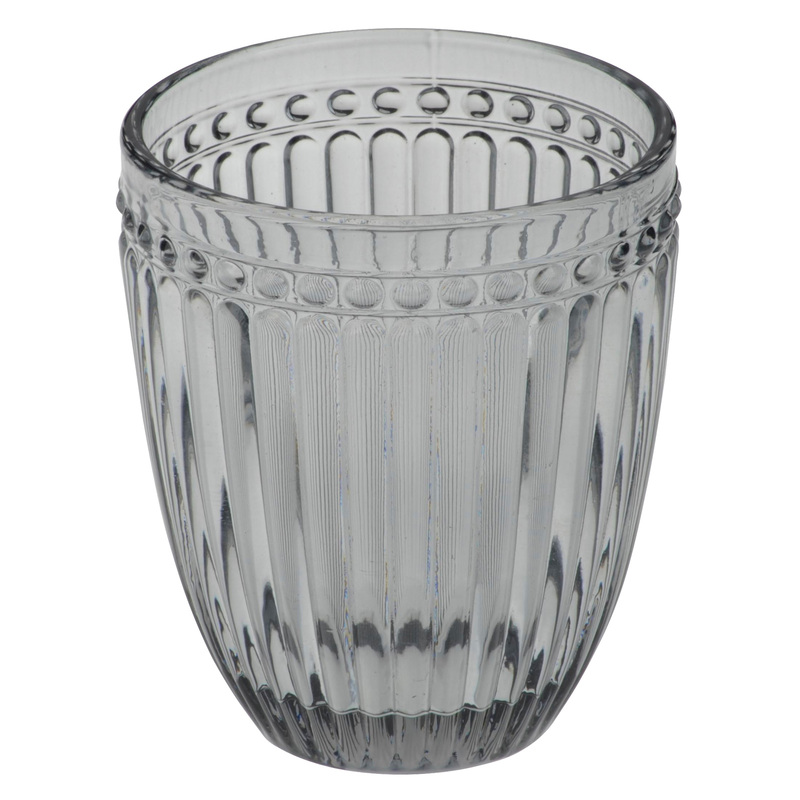 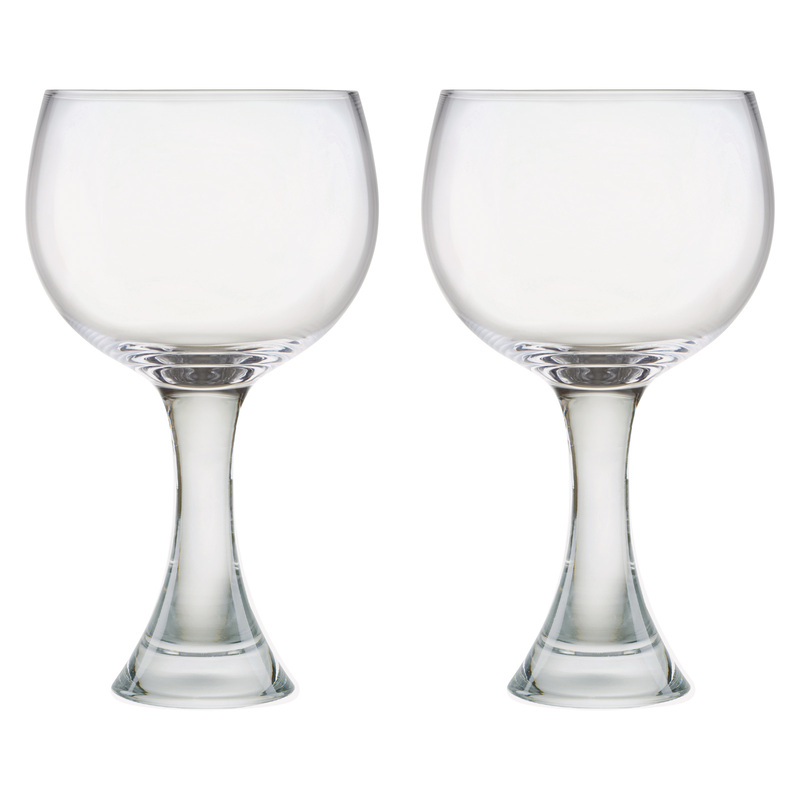 Comes as a set of four, each Flute has a different jewel colour with an amazing, tangible bubble effect at the base of every glass! 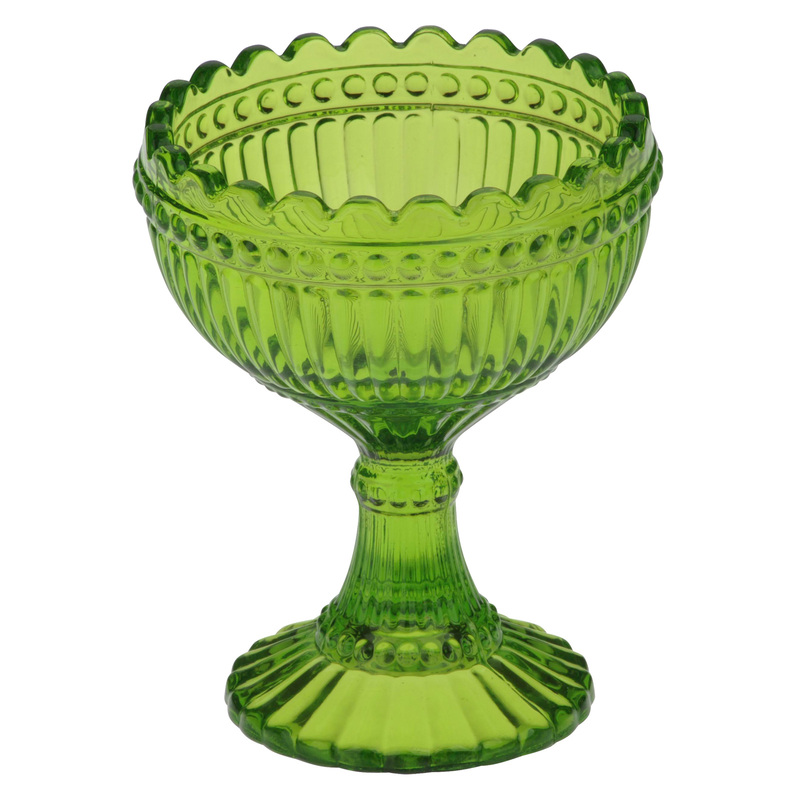 Available in a charming gift box so would make a fantastic gift!! 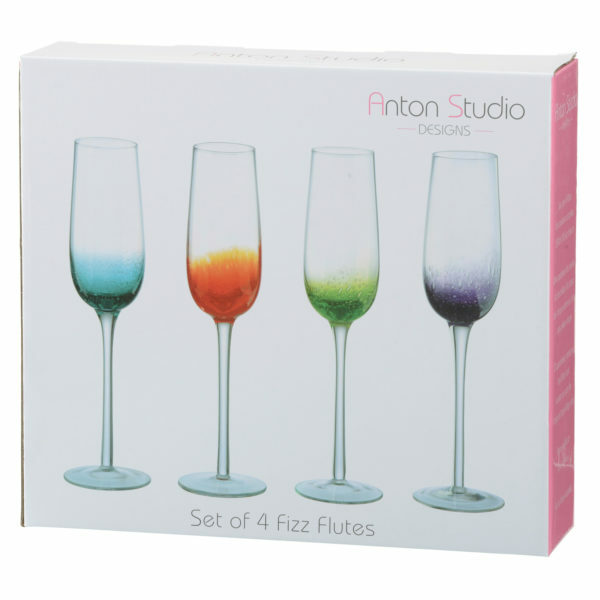 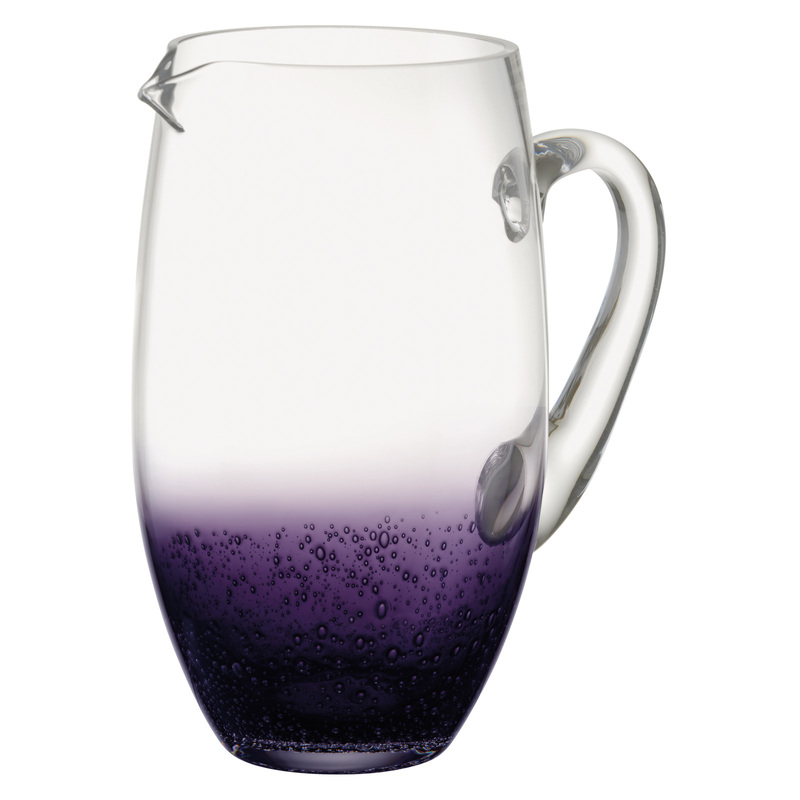 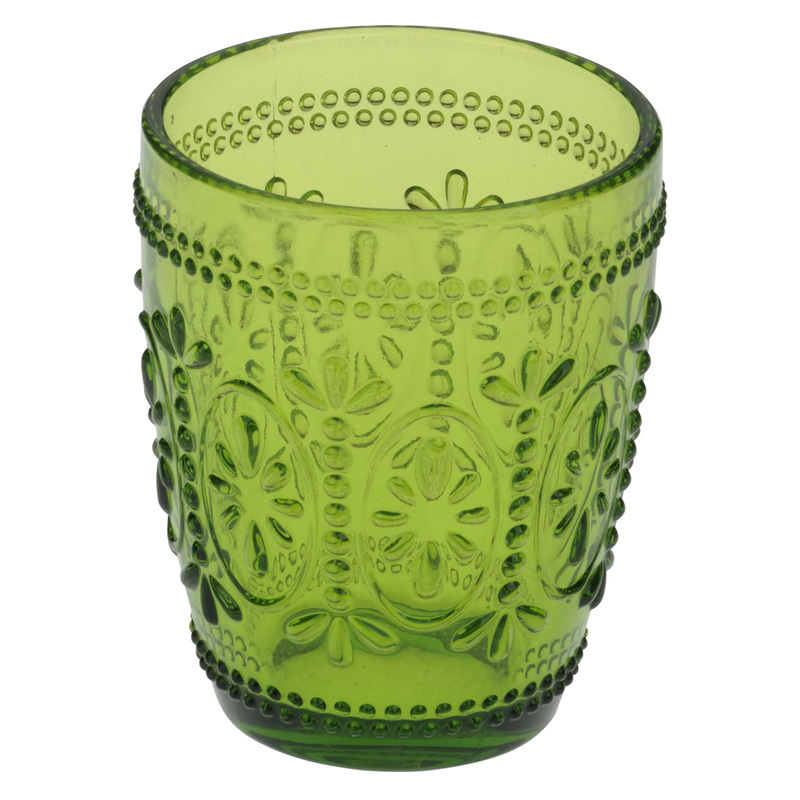 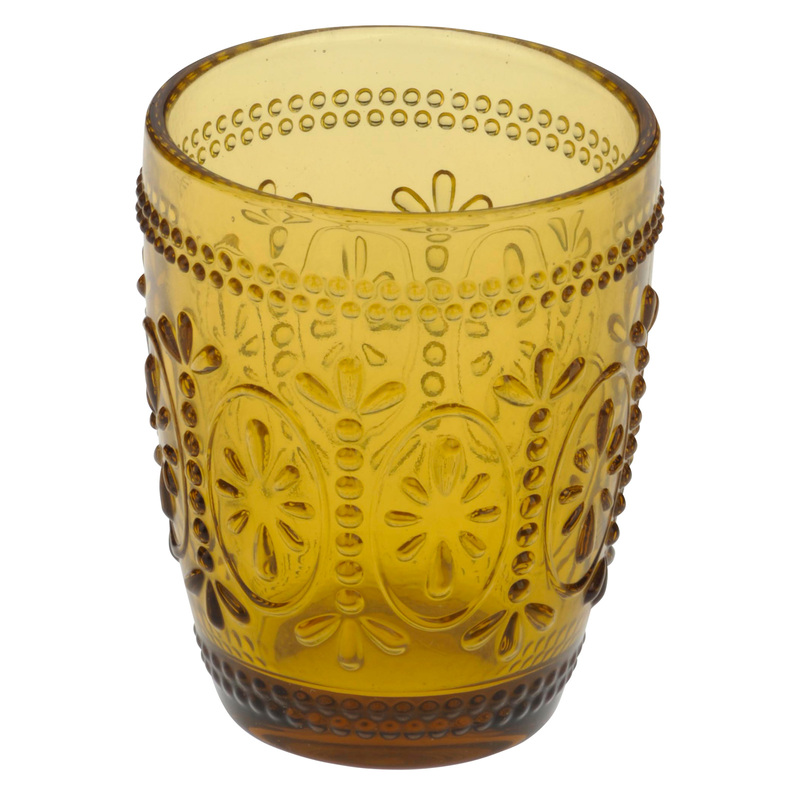 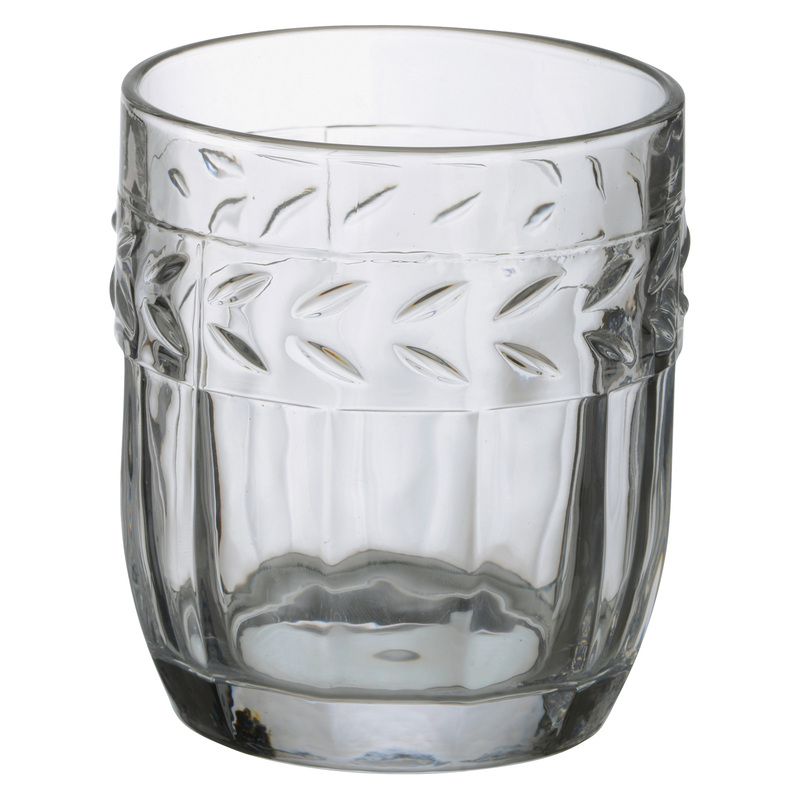 Made by Anton Studio Designs and the glass is coloured so the beautiful effect will never fade!